Another exciting release on FOX and the one I am most excited about is 24: Legacy, a spin-off of the hit TV show 24. The series stars Corey Hawkins and Miranda Otto and follows the story of Eric Carter, an ex-Army Ranger who is being sought by a terrorist group and tries to stop one of the largest attacks to potentially happen in the US. 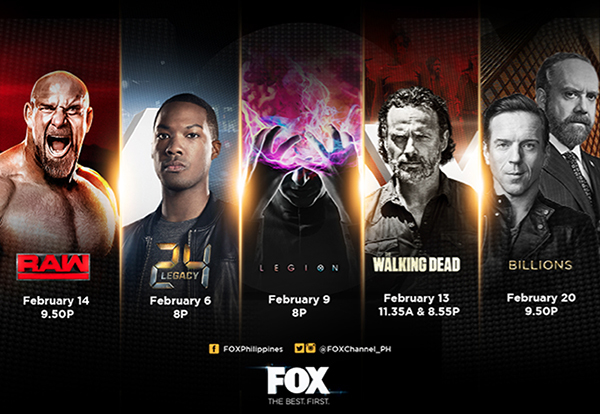 This heart-stopping 12-episode series will show exclusively on FOX and premiere in the US on February 5, with a Philippine premiere on February 6 at 8 PM.